WEST VILLAGE — Cadbury purists, rejoice: You can now get the hard-to-find authentic British chocolates that have been blocked from being sold at American stores. An English couple has launched a business to ship Cadbury candy and other beloved English sweets to hungry fans abroad, after a lawsuit filed by Hershey's stopped most importers from bringing the chocolates into the United States. 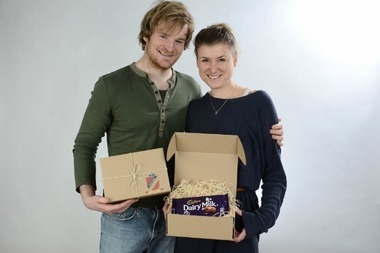 British Chocolate Club — founded by Robert Jeffreys and his fiancee, Rebecca Gerken, who live in the English town of Kings Lynn — will send a "handpicked" box of Cadbury and other treats including Flake bars, Dairy Milk, Crunchies, Toffee Crisps, Yorkie Bars and more to subscribers across the world. A box of 8 bars costs $15 a month and free shipping, while $25 per month will get you about 15 goodies. Robert Jeffreys and Rebecca Gerken founded a subscription service that will ship English chocolates worldwide, after reading about the Hershey's lawsuit banning imports into the United States. Subscribers can ask for specific bars or order a "surprise box." Cadbury eggs aren't currently listed as an option on the website, but they're available for order by special request. "We are planning on offering a special Easter box next month and chocolate eggs are a must in there,” said Gurken. Jeffreys and Gerken got the idea after reading recent media coverage of the Hershey's lawsuit against LBB Imports, which argued that some British chocolates were too similar to candies that Hershey's has the exclusive right to make in the United States. Jeffreys and Gerken realized there was a loophole in the case that they could use to their advantage: The Hershey's lawsuit only applies to importers supplying businesses, not individual customers. British Chocolate Club will ship to "private households only," Gerken said. "We were amazed that in our globalized world, and in a freedom-loving nation like the United States of America, a company could just get away with preventing people from physically buying the sweets that they want," Jeffreys added in an email. "We looked into the legalities and it turns out they can't — at least not completely." In the lawsuit, Hershey's asserted its exclusive right to produce chocolate in the United States under the Cadbury label and alleged that the wrappers and names of some British chocolates too closely resemble candies produced by Hershey's. Cadbury chocolates in the United States are made with a different recipe than Cadbury in the United Kingdom, in order to comply with U.S. federal food regulations, a Hershey's spokesman previously told DNAinfo New York. 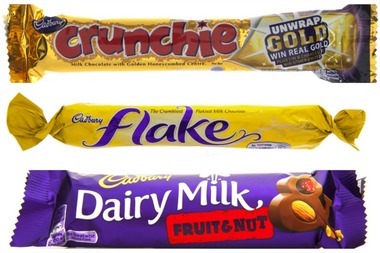 Brits claim that because the most prominent ingredient in English Cadbury is milk, rather than the sugar that dominates the American recipe, the English chocolates are smoother and creamier. British expats and store owners were furious when they learned earlier this year that Hershey's had blocked suppliers from importing the authentic British chocolates. "You know what’s behind it, right?" Nicky Perry, who owns the West Village specialty store Tea & Sympathy, said last month. "Hershey’s doesn’t want people to eat Cadbury’s, because Cadbury’s is so much better, people aren’t going to be buying their filth." 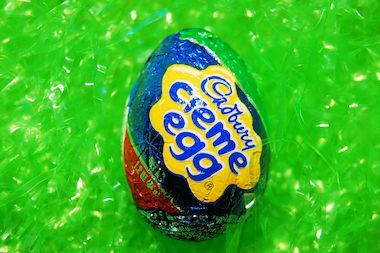 Hershey sued to block importers from bringing authentic Cadbury eggs from England to the United States. A Hershey spokesman told DNAinfo.com New York that "what this couple is doing — selling to consumers in the United States — is still a violation" of Hershey's U.S. trademark rights. The spokesman, Jeff Beckman, said he "can't speculate on future potential legal actions" against the couple. "We prioritize our efforts when it comes to protecting our brands against infringement," Beckman said. "At the same time, we do not ignore those that we view as having a negative impact on our brands." Beckman also said that the ingredients for American-made Cadbury chocolates come from the same British Isles factory where British-made Cadbury is produced, and both recipes use the exact same amount of milk, sugar and chocolate. Hershey still uses the same recipe used by the Cadbury family when they first brought their chocolate bars to the U.S. in the 1970s. The reason sugar comes before milk on the American label is because milk in the U.S. is measured by its liquid weight, while U.S. regulations mandate measuring milk in a more lightweight, evaporated form, Beckman said. The only other difference, according to Beckman, is that U.S. bars have used only cocoa butter, per FDA standards of what can be marketed as milk chocolate. Bars made in the U.K. can include less expensive vegetables oils, such as palm and shea, and still be called milk chocolate.